The color brown is often associated with stability, reliability and elegance. We recommend that you combine brown shoelaces with brighter colors, as a high contrast will emphasize the beautiful brown color. If you style the shoelaces with darker colors it will give you a more discreet look, which can also look amazing. These shoelaces are perfectly suitable for leather and patent shoes. They got a shiny surface and they're made of high quality threading and the color has a high color fastness. We can recommend using these shoelaces for shoes made for formal wear. As they are made of high quality you will find that they tend to last longer than most other shoelaces do. 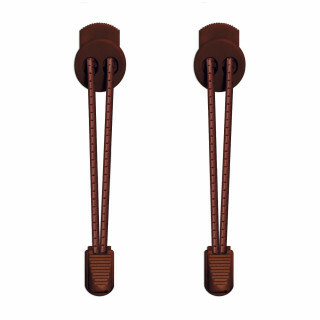 Our brown colored shoelaces are not just like other shoelaces. The color is perfectly optimized to suit your personality. They can be the missing detail to the perfect look. Changing the color of the shoelaces on your shoes will instantly make your shoes unique!